Lubricant Marketers, do you have a way to effectively manage your Retail Fuel Sites and C-Stores all in one place? For Retail Fuels and C-Stores, CRM can be used to create transparency, provide a more thorough visualization and capture information with data integration, capture key information on stations and sites including sales, equipment, activities, and more, and analyze all stations and sites a business has. 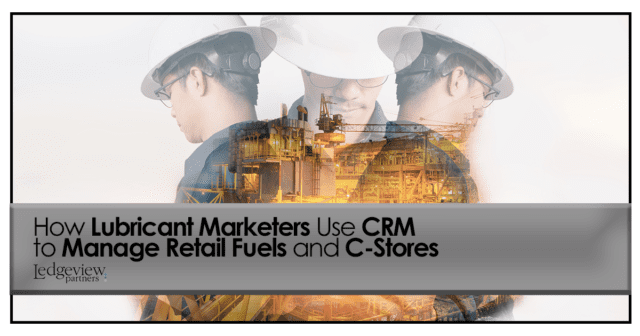 Lubricant Marketers use Retail Fuels in CRM to capture information about sales volume, equipment management, activity tracking, and much more. In CRM, you can set up all sites and stations, record site numbers and addresses, break down sites by territory or ownership type, and more. Lubricant Marketers also have the ability to categorize by brand and add improvement plans. They may also opt to include contract expiration dates so sales reps can keep up with contract renewals. CRM for Retail Fuels lets Lubricant Marketers keep track of to-do lists and utilize Activities for their sites and C-Stores; plus, they can keep track of specific equipment that’s at each site, even things like a popcorn machine or soda fountain! Whatever Lubricant Marketers want to track in CRM for Retail Fuels, they can. While you may currently be using methods like spreadsheets, multiple screens, documents, or binders to keep track of this information, CRM for Retail Fuels offers an organized and more efficient way to manage your Retail Fuel Sites and C-Stores. Lubricant Marketers may opt to categorize their data by brand or region, among other key options, which makes it easy for them to filter data based on their preferences or needs. Lubricant Marketers gain transparent data visualization and analytic reporting with Retail Fuel Sites and C-Stores in CRM. Its success has been proven time and time again for Lubricant Marketers.